If you want to know how many great comics are being published right now, consider this: I could easily make a list of comics that didn't make this top 50 that would challenge my top five from 1999. I'm not lying about that for effect, either. 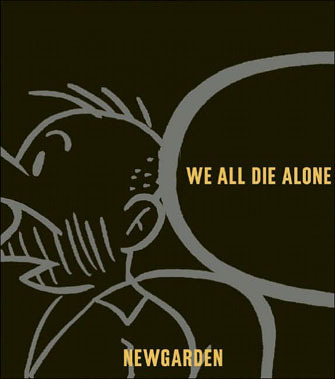 With Fantagraphics and Drawn and Quarterly operating on all cylinders at the same time for the first time in ten years -- if not ever -- and publishing the fruits of 25 years of art comics' flowering; with Pantheon and Vertical adding to the art comics assault; with boutique publishers like La Mano and AdHouse popping up with increasing frequency; with DC repackaging its greatest works; and with manga and the on-line world rolling out affecting works of art amid their more general, high-quality crowd-pleasers; well, this is easily the greatest time in comics publishing history. Any book after about #25 on would make a fine #1, and any book in the top #50 could easily be in a smart critic's top five. The following list -- with brief commentary after each entry -- has all the problems that come with making a list about art. This includes the notion of which I'm fully aware that this kind of enterprise is unfair and dumb. I'm also admittedly unqualified to judge works in the French-language and various Asian markets, so this is an English-language list. There are specific difficulties in that it's hard to tell with comics right now where repackaging crosses the threshold to demand a reconsideration of the work in question (I'm pretty generous with this one) and comparing works across formats (I'm also pretty liberal here). I also have a problem in that it's now mid-March, and I don't think I'm going to see certain comics work that might have had a chance to place on this chart, as money to buy comics is limited, and my ability to get on comics' various freebie lists is even more so. So I apologize to works like The Quitter and The Plot or the bulk of Seven Soldiers in advance; I don't know how good you are, at least not yet. I am additionally certain a few works I have I've now completely forgotten, and I probably own one or two great books I haven't opened to page one. I hope that you'll take the following in the spirit of fun in which it's offered. If you're thinking about buying one of these books, I'll try to set up a link through the art to a place where you can get a book that's one of this site's partners (where appropriate), but there are many ways to access each of these works, all legitimate. I hope this gives you something to think about, or a new work to read. 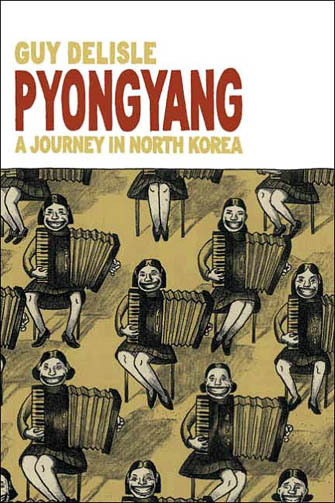 Guy Delisle's frequently fussy travelogue is at its best when depicting incidental, off-hand moments so revealing of North Korean's tragic dysfunction that no outsider could ignore them, even when the local citizenry seems to do nothing but. 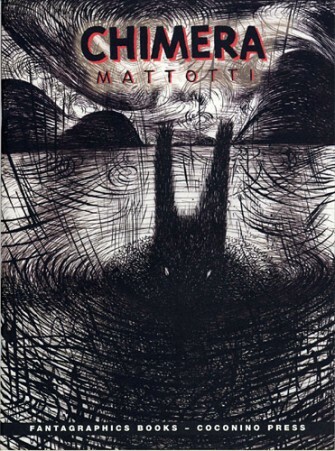 The cloistered inner lives of children as they grow up is such a great opportunity for the kind of running visual metaphor we get here I'm pretty amazed there isn't a whole run of books like this one. Cotter gets the way kids create whole worlds from the material at hand and then find treasures and turmoil within it; right now, that's really all he needs for this comic to be worth picking up. It should be interesting to see where it goes. 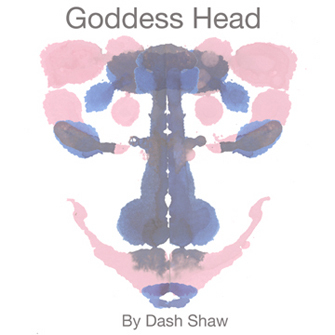 The talented Dash Shaw changes direction from his early work in a relentless exploration of instability as represented by experimental cartooning, worlds and stories where every line can be called into question, every known fact hashed out multiple times. 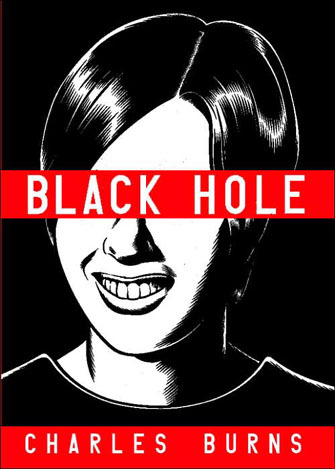 I liked the sometimes-criticized writing in this beautifully rendered coming of age story, which I thought was equal to a lot of first novels and minus a lot of self-aggrandizement that fuels a lot of attempts at something approximate or similar, both in comics and in other media. It also serves as a pretty decent window into an unfamiliar subculture -- in this case disaffected but academically accelerated Hawaiian youth. 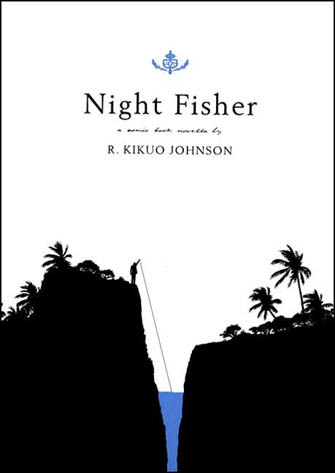 It's true that there may come a time when other writing work by Johnson outstrips that here, as the beauty of the art and the skill on display when it comes to pacing and the mastery with which Johnson pushes the reader outside of the protagonist's head and into the surroundings and back again suggest a potentially huge talent in the making. 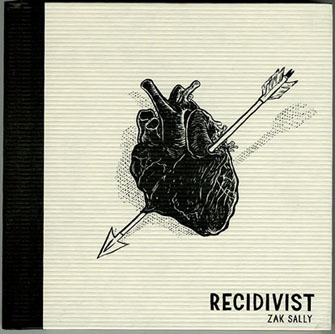 Reading Zak Sally's long-awaited third and final issue of Recidivist, it's striking how rich comics' traditional bag of effects seems in his hands, like no one else had ever thought of doing "voice-over" style narration or as if he rediscovered isolated word balloons all on his lonesome. Sally is a talent that may improve exponentially over the next five years, as he devotes more time to cartooning and his publishing house. In Seaguy, Grant Morrison and Cameron Stewart employ light, slightly creepy and fantastically odd superhero trappings and a series of blunt metaphors to show us that simply opting out of the reality with which we're saddled doesn't matter if we don't have the skills to adjust to what we discover when the curtain is pulled back. A kids' Sunday strip that adults will enjoy -- not for a snotty, second level of bad Harvard Lampoon-style satire but for the complex and pleasing ways the visuals are arranged. The Mutts Sundays in particular have remained smart and beautiful. People only think the strip has faded because Patrick McDonnell started out an already fully realized talent, so fans didn't get the usual pleasure of being able to follow his swell of improvement into a third or fourth year. 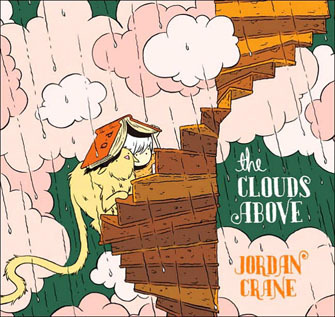 Unlike many comics for which this claim is frequently made, Jordan Crane's panel-per-page The Clouds Above really does read like a long, well-told children's book story in comics form. Thankfully, Crane avoids saddling his story of an unintended day off with a moral beyond what you can glean from the story's events and the characters' attitudes. Even more fortunately for the reader, Crane's sense of pacing now matches his widely acknowledged skill with color and design. Not only the most consistently stylish book from DC Comics since the publisher regularly employed artists like Trevor Von Eeden and David Mazzucchelli at opposite ends of the 1980s, Solo has also surprised as an unlikely but important vehicle for resuscitating the mainstream short story. The strength of the series isn't in its wilder moments, like Paul Pope covering Jack Kirby, but how solid a trifle like a smartly-drawn Darwyn Cooke "King Faraday" story feels up against the backdrop of four decades paying close attention to noodle-style continuity. 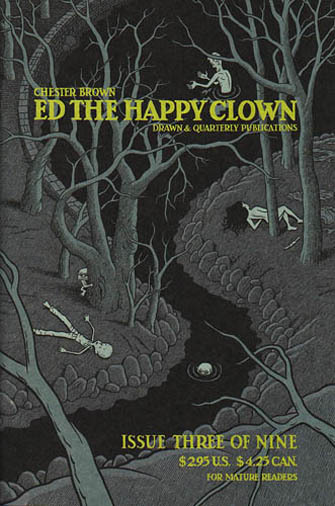 No longer the shocking revelation it was in its first incarnation, reading this handsomely appointed version -- with lots of notes, as befits a new iteration of a classic -- will remind the reader of Chester Brown's masterful, intuitive storytelling chops and a free-wheeling imagination that makes you wonder what every other cartoonist might be hiding. 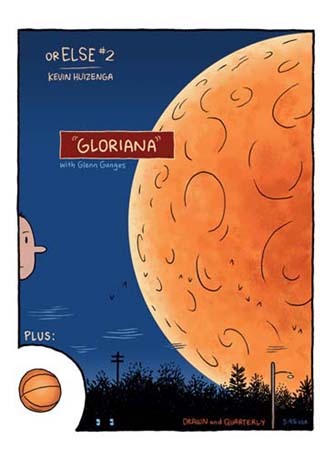 Visually appealing work from Wes Hargis combined with inspired joke telling by Hollis Brown that shatters the dominant Doonesbury model of beats and silent panels. 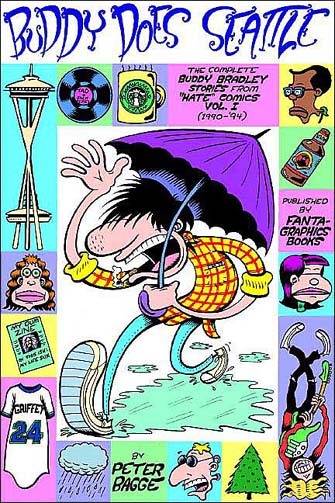 Franklin Fibbs is one of the biggest surprises in modern strip history, with only a slight caveat that it remains to be seen how such a strip will age. This new edition is by far the best this story has ever looked; the one panel per page hardcover format makes the whole thing feel like a fairy tale on the subject of bad decision-making. 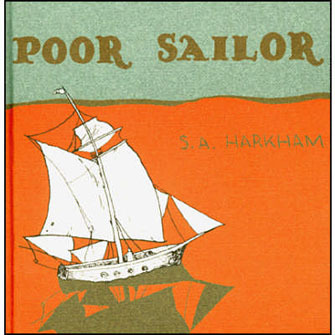 The most understated cartooning of Sammy Harkham's career to date comes in a few scenes where you're allowed to see the thrill of life at sea for the unfortunate protagonist, without agreeing that the brief glimpses are anything close to worth the price he'll pay. 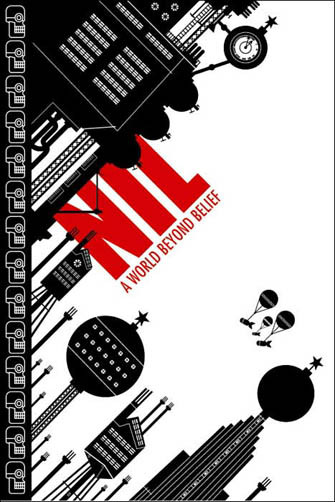 Dense and relentless silly, almost corny at times, Nil rewards the reader's patience for taking in Turner's at-first unfamiliar cartoon language of shapes and symbols by providing them with grandly idiotic payoffs. Unlike most stories of this type that rattle apart by about page 10, everything here is pulling in the same direction. Although many strips like this lose their appeal once the secret's out, Nick Gurewitch's Perry Bible Fellowship remains vibrant and disturbing, as if the beautiful color and overheated situations bring with them similarly explosive elements of cruelty and rot. Editorial cartooning's reigning Lion in Winter is all elbows and knees now, sneering his way through a political landscape with characters that are probably beneath him but who manage crimes and malfeasance that challenge his everyday patience like no one has in decades. Eiji Nonaka's comedy series has sustained itself in a second year's worth of books because its creator does the hard work of building comedic situations by hand and then coaxing the humor them for two or three short stories until they blossom. In Volume 3 Nonaka drew on hundreds of pages of thwarted expectations to provide hilarious release in a few key action scenes that felt like full-bore widescreen movie silliness, a giant shark attack in a Woody Allen film. If not for these smartly curated sideshows, the spiraling out of the series' recurring comedic motifs would feel more like walking in a circle. With them, there's just enough variety to keep you refreshed for picking out new elements to standard, still-funny routines. Once funny for the way it would press against the odd limitations of its look and the manner in which its bluntly-depicted conflicts would descend into lunacy, Onstad's work has become more humorous and deeply felt as the stories have gained greater traction around their characters. I think this is the same kind of comedic world that a lot of print comics go for, or at least did 25 years ago, but this one's actually become successful in hammering out its own rules. Onstad maintains blogs for the major characters, a tribute to the world's consistent logic -- in the same way that well-designed figures for animation may be illustrated from any angle -- and, obviously, Onstad's mighty work ethic. 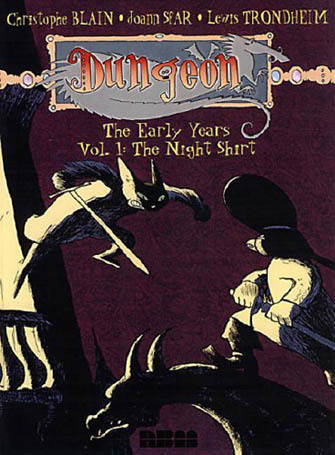 Lewis Trondheim and Joann Sfar's Dungeon books are funny, well-drawn, imaginatively told and possessed of dense narratives that when consumed in the American wasteland of terse plots and double-page spreads feels like eating a real meal after years and year of devouring sweets. But mostly: these series can be tremendously funny. It's great to see NBM mirroring the French-language release of the three different series with their albums, if only because this increases our likelihood of seeing future volumes. 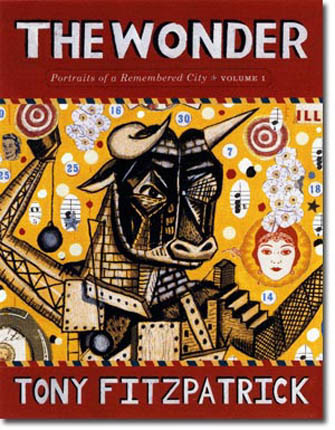 Tony Fitzpatrick's beautiful blending of poetry and painting makes for a great comic whose tableau are more complicated than Richard McGuire's. 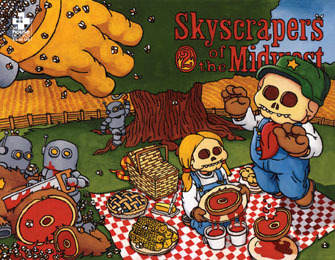 The visuals are connected by place, and reveal memory after memory in haunting sequence. Fitzpatrick's ability to conjure up elements of the past you don't want to see show up on your doorstep -- neighborhood characters, the dishonored dead -- remains consistent and remarkable. 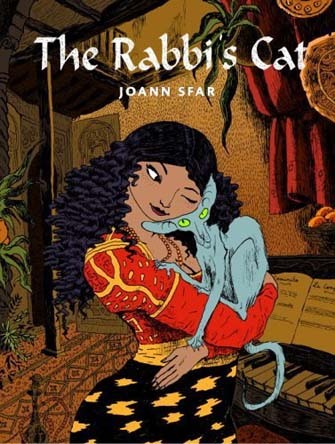 The most successful campaign yet in Joann Sfar's one-man war against overly slick cartooning of the worldwide Disney tradition, the look of the book, the colors like light shooting through so many jars of preserves and marmalades, all of that lingers far after everything else passes on. Is it the best superhero comic of all time? 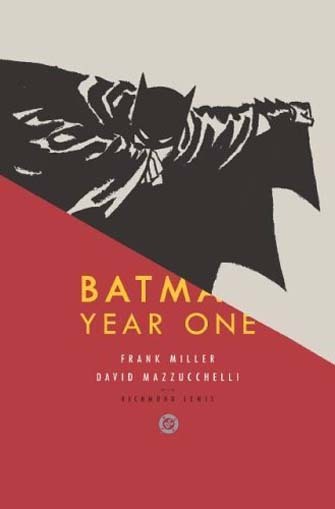 It sure feels that way reading this version of Frank Miller and David Mazzucchelli's exploration of Batman's "secret origin." Because Batman lacks an overabundance of fantasy elements, his story can more easily be told in terms of moral choices and problem solving, with Miller using future police commissioner Jim Gordon as a more relatable mirror on a different side of the same war, a war that can be seen as a war against crime or simply the more universal struggle of trying to do something of value. David Mazzucchelli not only stages Miller's action scenes with matter-of-fact, detailed aplomb -- the scene with the SWAT team in the basement is impeccably realized -- his rich, European-style cityscape and figures subtly give the narrative a dignity that makes what we're watching important no matter how invested we are with where Batman got his start. 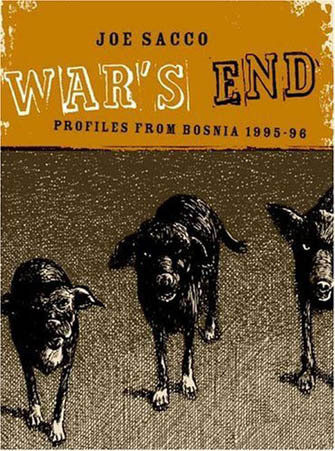 War's End is Joe Sacco's most effective exploration of the ambiguity he feels about his job because the assignments here are more cut and dry, more obviously work-related than some of the others that seem to arise out of meditation over a long period spent in one place. 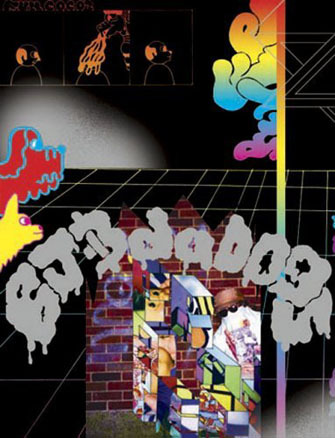 The people depicted prove fairly devastating anyway, particularly the guide Soba, in whom most readers will recognize some lost soul they've known at some time in their lives now past. Beautiful drawing of monsters and nature rise and fall across the comics page, in perhaps the best looking comic of the year, aided greatly by the wonderfully affordable format. More of a straightforward comic book adventure story than a parable about post-war life, but a wonderfully sweet story at that. 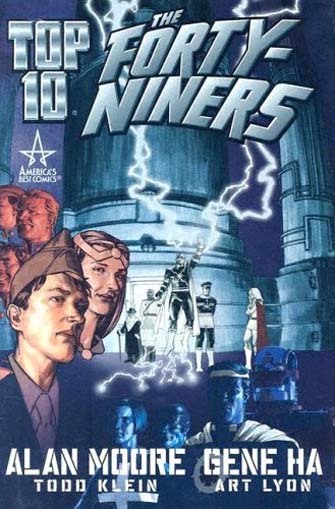 Like the Top Ten series to which this story serves as a prequel, The Forty-Niners traffics in an overload of visual background gags designed to make its setting a running commentary on all of comics, fantasy and science fiction. As Will Elder once showed us and we all seem to have forgotten, this is a wonderful way to read a comic book story. If I had to take a stab at a potential deeper meaning, it may be fun to read The Forty-Niners as commentary on the winnowing down of the comic book industry in the late 1940s, the superhero becoming ascendant as the most appropriate and useful vehicle for the stories that needed to be told, the one with its foot in multiple genres. I think this title suffered from format exhaustion -- it sold terrifically well as comics and even better in its original three trades -- but the further we get away from the time in which it's set the more skilled Peter Bagge's writing seems, with its memorable characters and featuring observations about human nature so sharp they could take place with some minor adjustment in just about any time period but feel perfectly suited to the series of stories Bagge is telling. Inspired nonsense from a master and a wholly satisfying comics package: not a sentence or picture wasted in its absurdist assault. 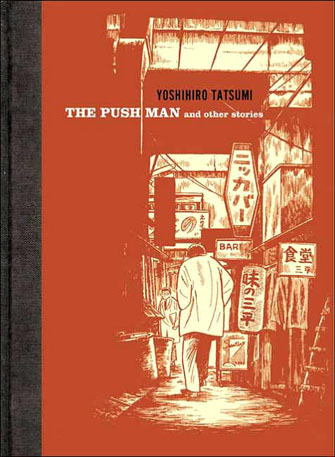 Such a fine series of books that work well as comic no one seems to mind that it's essentially a repackaging of material easily found in mini-comics and on-line. Huizenga makes suburban America look as elegant and interesting as the early comic book artists made the urban neighborhood throb with energy and bustle. This is only the start of a novel we may not see completed for another 15 years, but Ware shows a promising bluntness when dealing with his characters, a tendency to take them on their own banal terms without yet bringing in history and context in a way that may explain but also transforms them into something greater, more significant. The backlash should be formidable. 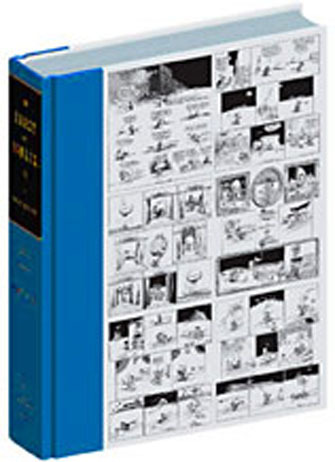 The modern master of comics gag writing and an undervalued keystone to American humor gets the showcase he deserves; the fact that much of the publicity surrounding the book delves into the care of its black velvet surface seems hilariously appropriate to me. John Porcellino finished 2005 strong with a surprising and mostly revelatory run of comics, all in the second half of the year, adding to the reputation of one of comics' best. 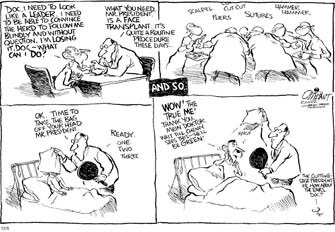 The gem is the first one, #64, in which the cartoonist pays tribute to his just passed-away father, although #65 and its place focus is as good as any recent issue. 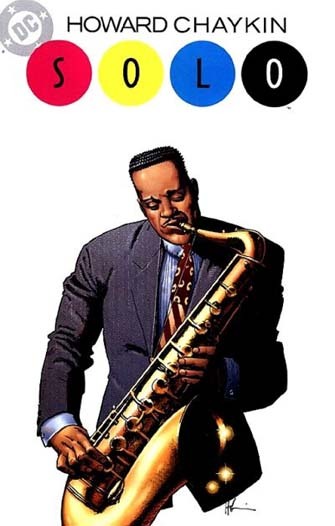 A real gem of a series, and one every comics fans should read. 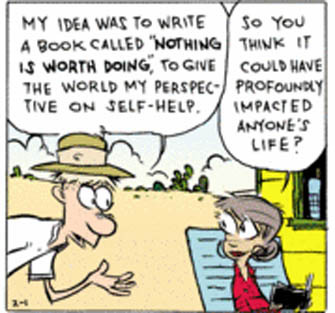 Tony Millionaire's comics prove that no matter how well you draw -- and when it comes to drawing, Millionaire might be in a class of four or five for the last 50 years of comic strips -- it's the writing that counts most. The gags here are very funny, and the occasional baby steps away from traditional joke telling are judiciously apportioned. The Citizen Kane of self-loathing -- or if you prefer, imagine an entire story built from that disturbing scene in the film Being John Malkovich where the actor enters a world consisting of nothing but himself -- Typocrat's oversized volume stands up to repeated readings for the attractiveness and the art and the nuggets we can dig out of its multiple characters, every one, after all, a reflection of the lead. 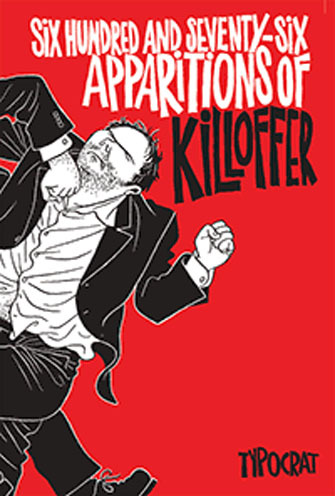 A big question that critics will likely confront in the next five to ten years is whether or not the growing body of literary comics function in the same way with the same effectiveness as literary novels. 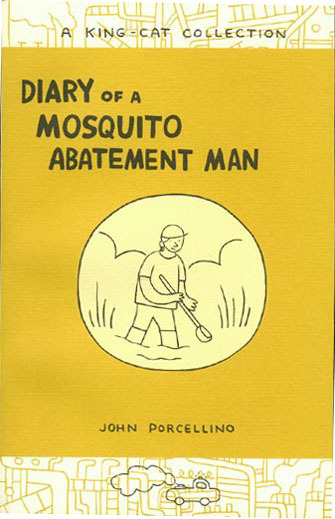 I think John Porcellino's descriptive comics, drawn from his own life, may work better than similar works from writers, the mood from his spare drawing an invaluable measure of the cartoonist's attitudes regarding what's being experienced. Recently I drove past a large power plant and the first thing that came to my mind was Porcellino's description of driving through such a complex at a slow rate of speed, fumigating for mosquitoes. Funny, dense, self-contained, and a wise consideration of an obscure but affecting subject -- the way our obsessions can warp our lives around them. If only more cartoonists could work a diverting book or two like this into their more ambitious main projects, comics would be a happier place. Stories that linger far longer than you will have planned, coming from a dark and difficult vantage point with insight into the limits of human kindness and emotion. The work makes perfect sense, feels right, and yet there isn't anything quite like it nor should there be. This is an island of comics unto itself. Not as exquisite a final word in terms of presentation as one might have hoped, but close enough for reconsideration. 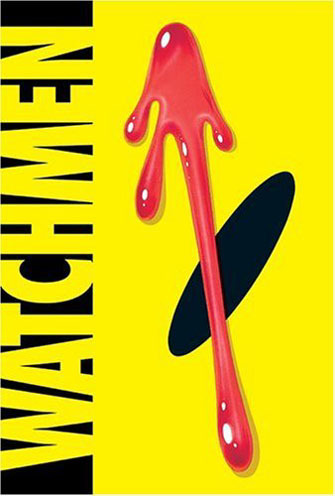 What stands out now about Watchmen, at least in this reading, was how hopeful and almost naively romantic the story can be, particularly the sense of 20th Century America as a broken watch instead of something dirty smeared on a wall. 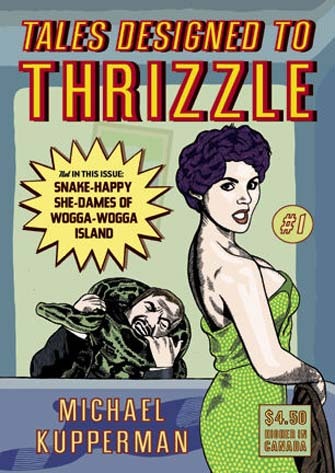 If this were a stand-alone book celebrating the entire life's output of a cartoonist, that cartoonist would have a place in the pantheon of cartooning greats. This is the focused in approach, varied by subject matter, beautifully drawn and tautly written part of Crumb's career, the most neglected aspect behind the general acknowledgment of his drawing skill through the sketchbooks and his free-wheeling social critic side through which he originally made his name. 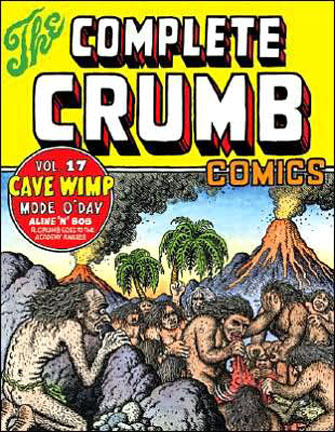 If I had to have one Crumb book currently published, I'd choose this one. Reading this gag pages after a couple of years of only touching base with Ware through Jimmy Corrigan is a revelation in terms of a how funny he is and b how different his use of the comics language is here, driven by art that works almost better as design work than renderings, and a panel to panel rhythm that can be the most daunting in comics. 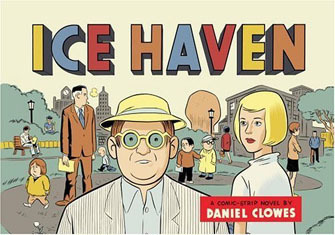 This reads differently than in its original comic book formatting, but only because Clowes' work is so deeply attuned to its own presentation that moving from comic to book can't help but make a difference. 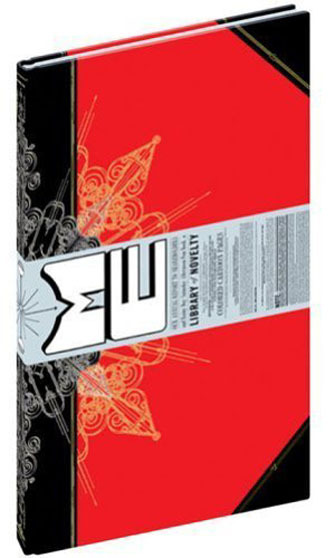 One of the two or three smartest comics to be released in the last half-decade, with dozens of cogent points about crime, community, criticism and yes, even comics; there are multiple on-ramps for discussion, from presentation right down to the visual clues provided as to the running mystery involved with the book. I think my favorite thing about the book is how it uses a random gathering of comics styles along the lines of a rack of comic books or a Sunday comics page as a community snapshot, the way that overlapping attempts at the truth can feel more trustworthy than a single, clear truth. 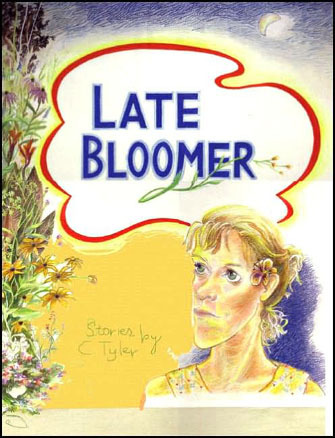 An astonishing collection of short stories, the vast majority of which have been published hither and yon over the last 15-20 years, Late Bloomer puts Carol Tyler in the first rank of American cartoonists. These stories are alternately funny and tragic, sometimes both at the same time, but every plot point is observed with lacerating insight and every moment of catharsis is earned. Tyler is fearless. She dissects her relationships, her career mis-steps, her at-time overwhelming guilt, her feeling about pursuing art, and her skill as a mother in such a matter of fact way it's almost stunning -- there are very few cartoonists would ever depict themselves visually as ragged as Tyler make herself look, forget about going into the sordid detail of setbacks and bad decisions. With this collection, handsomely appointed and when delivered from the artist including a packet of seeds(! ), Tyler also reminds the reader of her singular approach to color. It's only when you step back from the heat of the individual comics moment that you realize the skill involved. 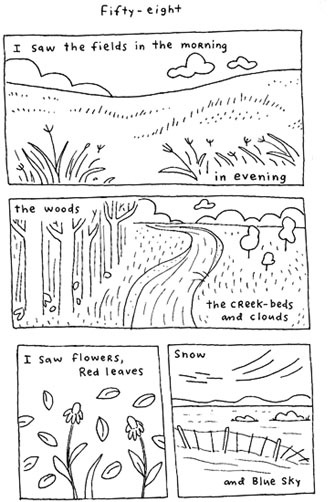 Late Bloomer is as good as anything Fantagraphics has ever published. A virtuoso display of comics art, layered enough to reveal multiple insights on multiple readings and keyed into such delicate feelings about growing up and self-worth that I can't imagine anyone getting through it without feeling a bit of its emotional weight. I'm honestly still struggling with this book; every time I reach outside the volume I see something about "AIDS metaphors" and I no longer feel like I'm being helped. There's something about the way depicts his teen plague that seems less like he's point out the connection between real world parallels and more like he's the first guy to notice that something that's always there, in everybody. It's an odd thing to say about a horror comic, but it's almost as if the horror elements are there to make the case that they shouldn't be. If there were horror elements to your childhood, you'll recognize the mindset, the way that a teenager will take the drama of the moment and fill in the blank space with dark things. The real horror of those teen years, and something I think Burns speaks to very eloquently, is that not everybody makes it out, and no one does without feeling they were made different. 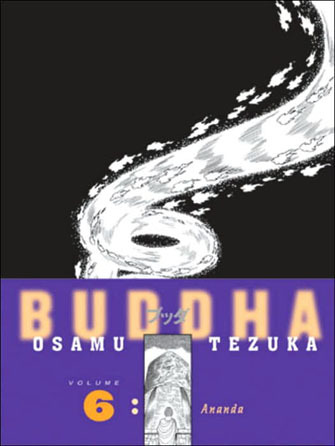 I always get the feeling that most people have stopped reading this series, which at this point would be a shame because with the last couple of volumes the stories are increasingly flattered by the wild approach Tezuka took the material; the story of Ananda reminds me of one of the better Western myths you'd hope your schoolteacher or Sunday School designate would linger over. It's hard to point out a more pleasurable mass of cartooning in any given year than one of these beautiful tomes, a better argument for the relative health of literary comics, or a better check against becoming too comfortable with our own comics narrative traditions. I'm not sure what to say about such a staggeringly great work entering into its prime except I can't imagine looking forward to 25 volumes of anything else. 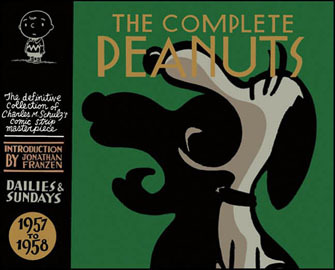 The great Peanuts resurgence isn't about discovery for a lot of us, or re-discovery as much as putting something in the living room that might have been in a box in the attic, the restoration of Peanuts as a central, recurring reading experience. What's odd, then, is a lot of what I'm getting this time as I go through the books is an appreciation for the cartoonist's accomplishment, the skill and effectiveness of these comics. Schulz was a killer gag writer, and as much as the cumulative effect you get from reading the latest book can be about sadness or frustration, digging deep into the books themselves one gets a great sense of Schulz as a skilled craftsman, assaulting the borders of what was allowed from a punchline at the same time as nearly every one of his peers settled into specific rhythms, dooming the comic strip as they went as sure as any editor that cropped and took space away. Not only frequently amusing, but possessed of an significant amount of what network programmers call "heart" and the rest of us merely stammer something like, "You see this guy with the kid and you feel... god, I can't describe it." I'm frankly surprised the strip holds up to the elaborate presentation as magnificently as it does. The other odd thing is how modern Gasonline Alley is conceptually, particularly in that it starts as a strip seeking to connect with a specific aspect of modern life -- in this case, automobile culture -- and then finds those elements which connect with the widest possible audience and runs with them. That's the script straight from a modern syndicate's sales packet. I also like the softness of the characters, their kind of doughy fraility, the way they kind of take energy into themselves rather than give it off. I hope that the remaining books are half this good. 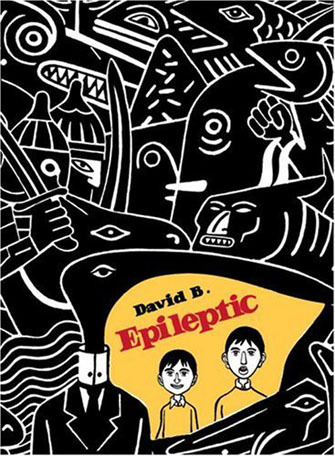 04 -- Epileptic by David B. Along with Jimmy Corrigan, the other giant new comics serial of the 1990s finally sees publication. David B's great achievement is that the splendid thoughtfulness that frequently drives the art doesn't overwhelm the book and force the narrative into a similar, over-precious design. I can't imagine what most readers felt as the book progressed and the characters remained hard to love and the situation at hand shook itself into pieces and unsatisfying eddies of development rather than coming together both inwardly and outwardly. The lack of freaked-out gushing makes me think that many may have found the story a bit hard to enter, a bit cold. 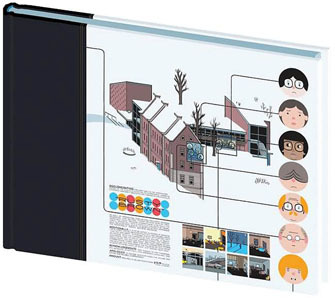 But if the graphic novel, the graphic memoir is to mean anything it has to accept those works that function as something a bit different than a paperback you buy at the airport. I found Epileptic devastating and pitch perfect. Take a top ten all-time comics work and present it in a manner that no one thought quite possible (affordable) as of yet, and you get this book, which hopefully made designer and publisher Peter Maresca a semiwealthy man in lieu of comics' usual reward -- thousands of readers thanking him silently, over and over again, as they open the pages of their oversized volumes and get their heads ripped right off of their bodies every single time. 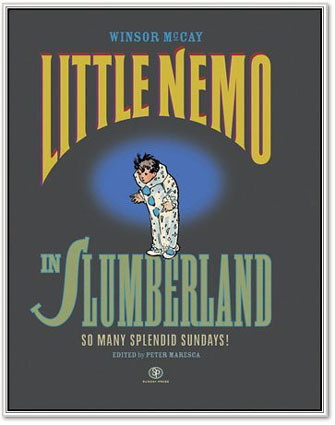 Little Nemo in Slumberland set such a high watermark for comics design and movement I'm not sure how to compare it to anything else in any other art form. It's as unlikely a development as a three-year-old writing symphonies, but on the grander scale of an entire form of expression. 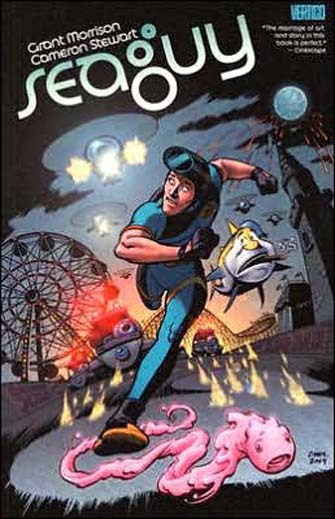 I know that film made several herculean leaps during its first couple of decades, but somehow Little Nemo feels more modern than even the most astonishing, precocious movies. It also seems appropriate to a time that moved faster and saw bigger things, a rush of sensations that must have played havoc with the senses. I wonder what kids back then dreamed after reading Little Nemo? The secret to understanding Krazy Kat is that it's really not as daunting as its reputation would have you believe. In fact, its virtues have little to do with most of what is written about the feature, all of which is true and was once important to have said, but now seems a bit unecessary. Forget the enduring love triangle. Soak in the lovely character designs. Bypass any consideration of how Herriman depicted the Southwest. Enjoy the expressive, oddball art. Forget its canny take on language as malleable self-expression, the 20th century mash of expression. Read the dialects as funny speech. Forget the pathos. Laugh at the jokes. If it didn't work the same way all the other great strips work, if it wasn't funny and gorgeous and possessed of characters you want to see again, all of the ways it's unlike those strips wouldn't be significant; they'd just be arch and sad. This decade-spanning special collection is a beautiful volume that many passed over, but I can't imagine a comics library of more than five books where this wouldn't be missed if absent. 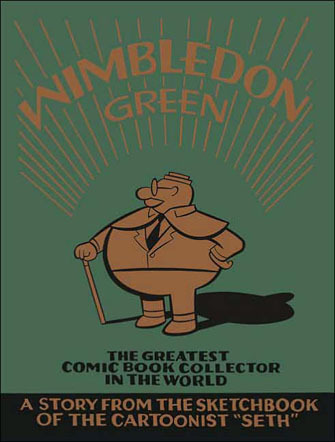 Does the complete life of a great strip make for a better work than ten years of the greatest? For me, this week anyway, the answer is yes. 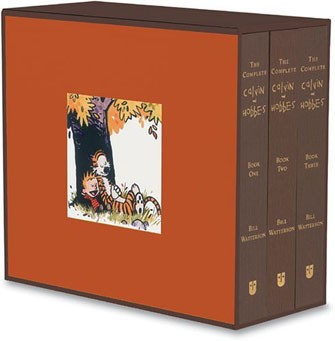 A lot was made of how much people missed Calvin and Hobbes when the book was about to come out. I don't think there's a cultural reason there aren't more strips like it. 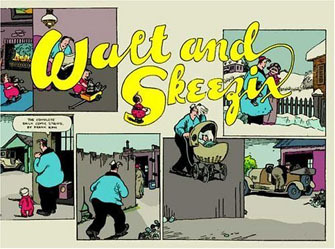 In most ways that count comic strips are afforded as much creative energy as they were in their heyday, and provide if not an extraordinarly lavish living, at the top it's still a comfortable one with a very big house involved. 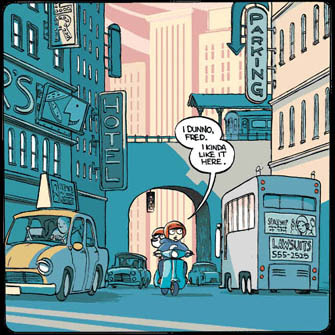 What strips haven't been is nearly as lucky in finding and then pushing artists that connect their facility to a profound sense of their own experiences -- something you can discover deeply rooted in even the most vaudevillian of the old comics. Calvin and Hobbes was the last great comic strip of the 20th Century because of how well-crafted it was and because there's something about a little boy of Calvin's enormous ego that needs a stuffed animal to provide counsel and to help him get by. Plus, you know, those great dinosaurs.